5m Long DV Firewire cable IEEE 1394. 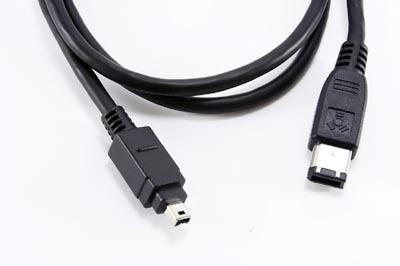 This Sony Ilink compatible cable can be used to connect a DV camera to a PC that has a Firewire socket. 6 TO 4 PIN OR 4 TO 4 PIN? To connect a camera to a pc you would need a 6 to 4 cable. If connecting 2 camera's together you would use a 4 to 4 cable. Do not confuse firewire with USB, they are two different format's. It is not possible to convert firewire to USB or visa versa. If your pc does not have a firewire socket you will need a firewire pci add on card or a pcmcia card for a laptop.